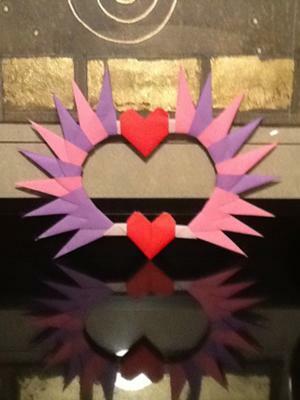 There are 22 units-4 hearts and 18 16-point star points. It was an early valentine for my mom. 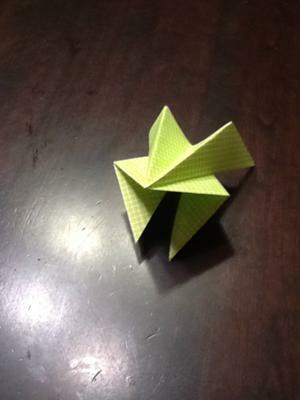 I saw something similar on origami-instructions.com. On my way to school I was making origami and I was making my own models, which usually turn out as a piece of junk, looked like a frog. I remembered how to make it and I made alot since. 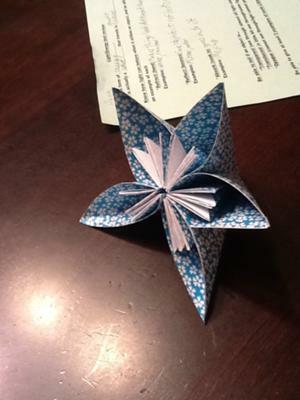 Another from origami-instructions.com-a kusudama flower.